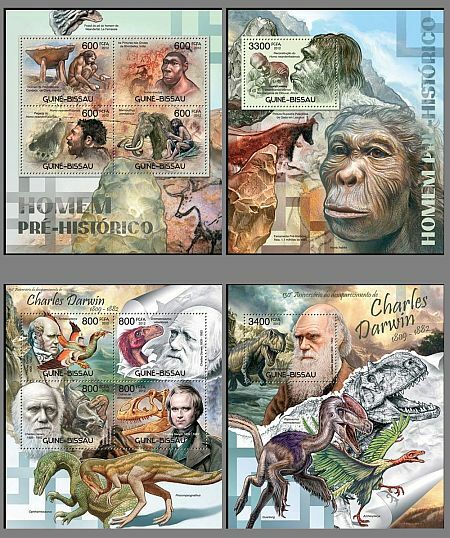 Guinea Bissau 2012 "Dinosaurs, Charles Darwin; Prehistoric Humans"
On 25 of May 2012 Post Authority of Guinea Bissau issued more than 40 mini-sheets simultaniously, 120 issued in whole year, two of them depicted some dinosaurs and Charles Darwin, another two some prehistoric humans. 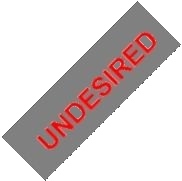 Each mini-sheet is on sale in internet for Euro 6 about. Just to compare: 58 stamps issued by Germany in whole year 2012. Total face value of this stamps is about Euro 60. Worth to mention - population of Germany is about 50 times more than population of Guinea Bissau . Area of Germany is about 10 times more than area of Guinea Bissau.